The Central Bank of Turkey hiked its benchmark interest rate on Thursday to 24 percent, an increase of 625 basis points from the previous rate of 17.75 percent. The Turkish lira soared more than 2 percent on the news, firming to around 6.1 against the dollar. The move, which exceeded market expectations of an increase of between 300 and 400 basis points, boosted the lira and saw Turkish sovereign dollar bonds gain across the curve to their highest level since the end of August. The lira touched as high as 6.0030 against the dollar immediately following the announcement. The rate hike came alongside a pledge by the bank to enact strong monetary tightening in order to support price stability amid recent economic turbulence. “If needed, further monetary tightening will be delivered,” the bank said in a statement. The last few months have been nothing short of a roller coaster ride for Turkish assets, which have seen a massive sell-off thanks to investor fears over the central bank’s independence and a diplomatic fight between Turkish President Recep Erdogan and Washington. The lira has fallen some 40 percent in value against the dollar since the year’s start, prompting fears of contagion amid a wider emerging markets shakeup. European banks with exposure to Turkey saw gains on the central bank’s announcement, with shares of Unicredit, BBVA, BNP Paribas and ING all hitting session highs, according to Reuters. While a positive start, the currency faces a slew of challenges ahead, experts agree. 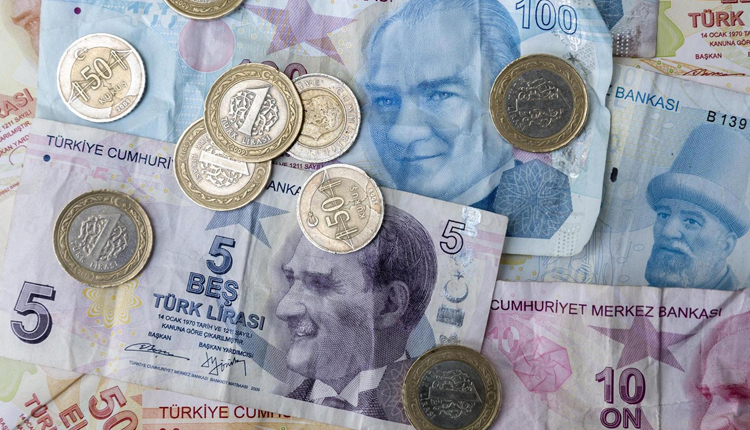 “The lira will remain under pressure in the coming months owing to tightening global liquidity conditions and tensions between Turkey and the U.S.,” said Agathe Demarais, Turkey analyst at the Economist Intelligence Unit. Inaction on interest rates in an overheating economy — Turkey’s inflation surged to a 15-year high of 18 percent this month — and apparent obstinacy by Erdogan, who has pressured the bank to hold rates down in favor of pursuing growth, has exasperated investors for months. Defying market expectations for a hike in late July, the central bank held its benchmark rate at 17.75 percent. Inflation at that time stood at 15.4 percent, already more than three times the bank’s target of 5 percent. A series of central bank meetings in the past few months and a cabinet reshuffle, which saw Erdogan’s son-in-law Berat Albayrak appointed as finance minister, had failed to reassure investors, as each anticipated rate hike failed to materialize or substantially stem the lira’s fall. The lira tanked to a dramatic record low of 7.24 to the dollar on August 13 after Trump called for increased tariffs on the country in response to its continued detention of American pastor Andrew Brunson, whom Ankara accuses of involvement in Turkey’s 2016 coup attempt. In August of last year, one dollar bought 3.5 lira; throughout the last month it fetched more than 6. The Turkish leader sent the currency down around 2 percent just two hours before the bank’s decision, rattling markets by vocally criticizing the central bank for missing inflation targets and reiterating his theory that interest rate hikes cause price increases. Conventional economic theory holds the opposite — that increased rates are used to curb inflation. Erdogan then insisted that the bank was independent and would make its own decisions. Erdogan has not helped his case by doubling down on his intransigence against the U.S., analysts say. In August, as the lira was selling off, the president called on Turks to sell their dollars for liras as part of a “national struggle”, blaming the mounting crisis on “economic warfare” by the U.S. and others rather than on his own policies. The lira’s fall amplifies other danger spots for the Turkish economy: as global interest rates rise and the dollar strengthens, Turkey’s foreign currency-denominated debt — which amounts to roughly 50 percent of its gross domestic product (GDP) — becomes increasingly painful to finance. Its current account deficit in the first six months of 2018 hit $31.2 billion, up nearly $10 billion from the same period last year. Moody’s and S&P have consequently downgraded Turkey’s debt closer to non-investment, or junk, territory, and many experts have forecast a recession within the next year. A recession in the country of 80 million, which sits at the crossroads of Asia and Europe and is home to both NATO’s second-largest military and more than 3.5 million Syrian refugees, would be no small event. The lira’s erratic moves have knocked hundreds of points off global markets in single trading days, and triggered sell-offs across emerging markets. Turkey comprises 1 percent of global GDP.